How do I tell if my battery is running low? 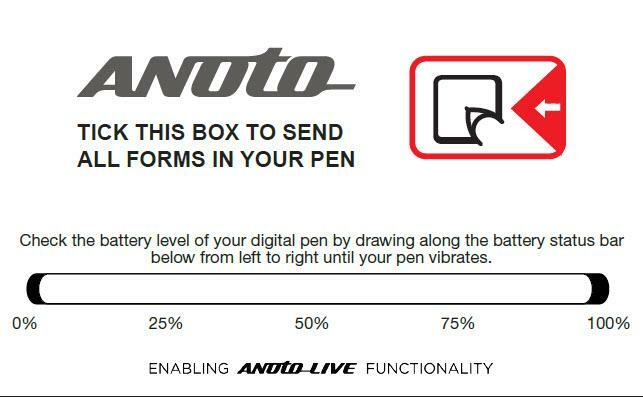 If you are not sure of the amount of charge left in your Live Pen™ 1 you can download and locally print the battery test card. If printing locally ensure that your printer meets all specified requirements. The document can be found here. Anoto can supply these cards laminated in batches of 10 if required. Please contact your account manager. To download the file please raise a service request at https://support.anoto.com and a secure download will be arranged. Battery test card this also incorporates a send all pidget.